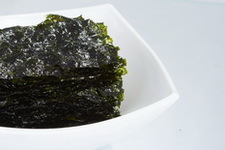 The Korean Kim is made on the unique technology allowing to keep vitamins A, necessary for the person, Page B1, B2, microcells and iodine. The content of iodine provides prevention of diseases of a thyroid gland, removal of radionuclides, salts of heavy metals, cholesterol that prevents development of oncological diseases and atherosclerosis. 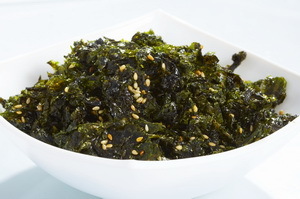 'Kim' is ready to the use as an independent product and is a magnificent additive to meat and fish dishes, rice, salads, excellent snack to beer. 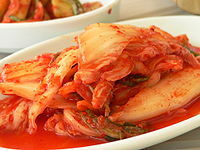 Kimchi, also spelled kimchee or gimchi, is a traditional fermented Korean main dish made of vegetables with a variety of seasonings. It is often described as spicy and sour. 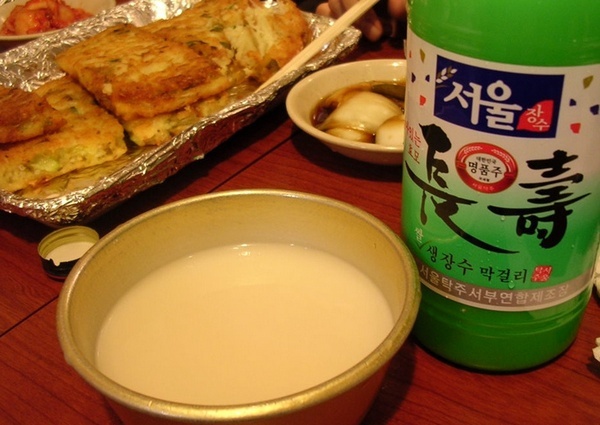 Makgeolli, also known as "makkoli", "makoli", "makguli", "makgoli", or "makuly (takju)", is an alcoholic beverage native to Korea. 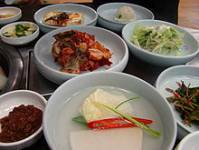 It is made from rice or wheat mixed with nuruk, a Korean fermentation starter. It has a milky, off-white color and sweetness, and is about 6–8% alcohol by volume. Makgeolli is traditionally made from rice, although variations are made from wheat, and some brands are flavored with corn, chestnut, apple or other produce.